Nominee is establishment stooge, steeped in organizations renowned for extraterritorial meddling and subversion. am-bas-sa-dor (n.) A diplomatic official of the highest rank appointed and accredited as representative in residence by one government or sovereign to another, usually for a specific length of time. Ideally, such a representative would “represent” the ideals and aspirations of their respective nation’s people. Assuming that the average American believes in living and letting live, and in an adherence to the US Constitution which is the common thread that binds Americans and the very foundation of what it means to be American, their ambassadors would best execute their posts by representing this paradigm. Photo: Michael McFaul stands to be confirmed as the next US Ambassador to Russia. He is a card carrying member of both Freedom House and the National Endowment for Democracy (NED), two organizations notorious for extraterritorial meddling in the foreign affairs of sovereign nations. His nomination indicates the US will continue with its disingenuous front of “resetting” with Russia, while simultaneously subverting the Russian government with US-funded political unrest. In reality, America’s ambassadors represent neither the American people, nor the US Constitution, and in fact stand in stark contrast to the will of the American people and the norms codified within the Constitution. Instead, these “ambassadors” work ceaselessly to execute American foreign policy, as dictated by elitist corporate-financier oligarchs, generally as subversive agitators. No example of this is clearer than US Ambassador to Syria, Robert Ford, who has actively taken sides with US-funded opposition groups and meddled publicly in Syria’s sovereign affairs amidst an armed uprising. In this same vein, Michael McFaul is also a subversive agitator, not a potential “ambassador.” And it is for this very reason he is being considered as the next US “Ambassador” to Russia. To understand why McFaul stands contra to the American people’s interests and therefore the collective interests of America as a nation, but why he will be confirmed regardless, we must understand the recent history of US-Russian relations, what drives US foreign policy regarding Russia, and just what McFaul intends to do – which assuredly will not be merely “representing” the United States. In the wake of the fall of the Soviet Union, the US quickly moved in to capitalize on a weak Russia. It fomented foreign-funded revolutions in former-Soviet states, including the “Orange Revolution” in Ukraine and the “Rose Revolution” in Georgia, installing Western puppets along with the Anglo-American imperial network of “NGOs” often referred to as “civil society.” Additionally, political operatives such as Russia’s Mkhail Khodorkovsky attempted to displace national institutions within Russia itself with clearly Western sponsored “civil society” networks, not the least of which was Khodorkovsky’s own “Open Russia Foundation” modeled after George Soros’ “Open Society Foundation” and even chaired by Washington’s Henry Kissinger and London’s Jacob Rothschild. Khodorovsky’s goal was to consolidate both political power and Russia’s immense wealth, and transfer it to Wall Street and London receivership, while simaltanesouly creating a Western designed “civil society” network that would ensure Anglo-American preminence over Russia for the foreseeable future. Khodorovsky and other “oligarchs” working for Wall Street and London were eventually either imprisoned or forced to flee from Russia during the rise of Vladamir Putin. To this day, Khodorovsky resides in a Siberian prison, but is still playing a leading role, with the help of Toronto/London laywer Robert Amsterdam, to leverage claims of “human rights abuses” and “injustice” against Russia in the court of international public opinion. Currently, the US is conducting a campaign of destabilization not only across the Middle East, but along both Russia and China’s peripheries as well. This includes efforts to destabilize and overthrow the government of Belarus, which faces Moscow across the Russian border. This, along with an aggressive NATO campaign to expand into Russia’s traditional spheres of influence, is clearly a stratagem of encirclement, while more covert operations are being conducted within Russia to foment political unrest. Coordinating this political unrest, in the Middle East, throughout Eastern Europe, and even as far as Southeast Asia, is a network of US agencies branching out from the National Endowment for Democracy (NED), including Freedom House, Reporters Without Borders, and International Federation for Human Rights (FIDH). This network also receives considerable support from tax-free corporate foundations, including George Soros’ Open Society foundation which funds Amnesty International (page 10) and Human Rights Watch. While these organizations pose as “human rights advocates,” in reality they exist to exploit crackdowns on their own subversive, foreign-funded sedition within target nations while allowing Western sanctioned atrocities to pass by without notice, such as recent mass murdering in Uganda by British corporations, or the exile and extermination of 10,000 Libyans in the city of Tawarga by NATO-backed rebels. Considering that America’s foreign policy, as crafted by corporate fascist-funded think tanks like the Brookings Institution (page 19), the American Enterprise Institute, the Council on Foreign Relations, and others, consists of subverting and dominating foreign, sovereign nations instead of engaging with them as equals, it makes perfect sense that Michael McFaul has been nominated as US Ambassador to Russia. McFaul’s biography provided by Standford University, indicates that in addition to being a member of the corporate-funded Carnegie Endowment for International Peace, yet another unelected, unaccountable institution turning out and implementing US foreign policy on behalf of the Fortune 100, he also serves on the board of directors of Freedom House and the National Endowment for Democracy. 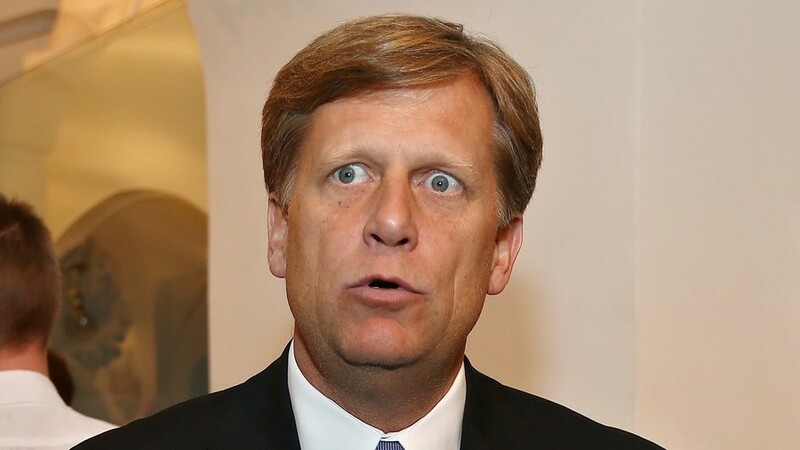 That Freedom House and NED spend the entirety of their time undermining the sovereignty of foreign nations behind the veil of “democracy promotion” and McFaul’s association with these two organizations, it in and of itself casts grave doubts over his agenda and intentions if appointed ambassador to Russia. However, it is his own supporters that fully out him as a subversive agitator, who fully plans on meddling in Russia’s sovereign affairs and using American tax dollars to marshal political unrest in a foreign nation. The Brookings Institution recently published a “letter of recommendation” of sorts for McFaul, titled, “Give the Next Russian Ambassador a Powerful Tool to Guard Human Rights.” Already out of the gates, the article is disingenuously using the concept of “human rights” to leverage US interests over Russia. Written by Brookings’ own arch-Neo-Conservative Robert Kagan and Freedom House President David Kramer, the piece begins by immediately calling on the US Senate to confirm McFaul. As if to alleviate any doubt regarding just what Brookings means by “human rights abuses,” Kagan and Kramer then cite the case of UK financier operative Sergei Magnitsky of Hermitage Captial Mangement, a criminal enterprise that while operating primarily in Russian markets, maintained its headquarters in the global financial mafia’s “pirate bay” – the Cayman Islands. By exposing both McFaul’s true “credentials” and intentions, as well as who he really works for and why, and by systematically boycotting and replacing the consumerist troughs that fuel this corporate-financier oligarchy we can rectify this obvious and ever-expanding divergence between what is best for America and what is pursued by the oligarchs that presume dominion over us.